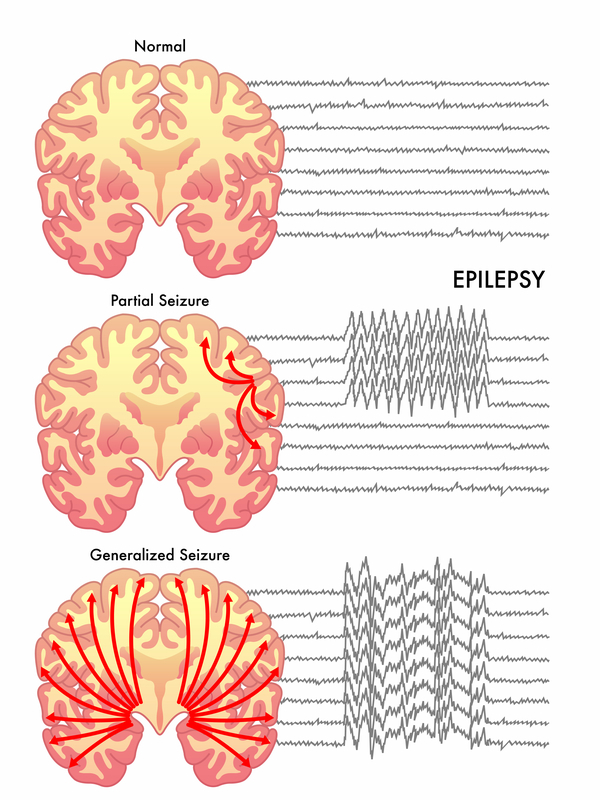 Primary generalized seizures – The seizure affects the entire cerebral cortex, the outer portion of the brain that contains the majority of brain cells. In this type of seizure, the abnormal firing of brain cells occurs on both sides of the brain at about the same time. Partial (focal) seizure – The abnormal firing of brain cells begins in one region of the brain and remains in that one region.